Last week, 100-plus members of the migrant caravan presented an ultimatum to President Trump via the U.S. Consulate in Tijuana: Let us in or give us $50,000 each in exchange for going home. The group, headed by Alfonso Guerrero Ulloa, an accused Honduran terrorist nicknamed "Comandante", who hasn't stepped foot in his home country in 30 years, presented their extortion demands last Tuesday, while audaciously giving U.S. officials just 72 hours to respond. All they've received so far is a statement from DHS assistant press secretary Katie Waldman essentially telling them to get lost. A few thoughts on this fascinating little morality play at the border. I thought they were "fleeing violence"? Comandante told the San Diego Union Tribune, which broke the story, that their $50,000 bounties would allow them to return home, where they could start businesses. If someone offered you $50,000 to relocate to Syria or Afghanistan, would you do it? 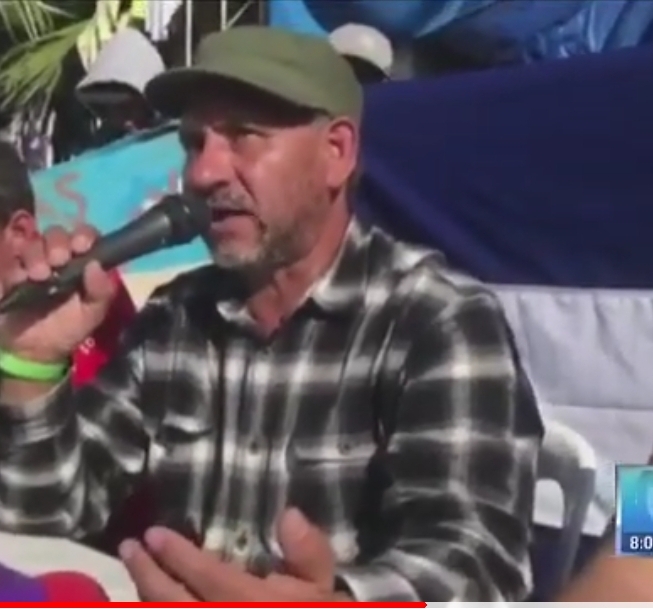 This group may or may not be typical of the caravan at large, but another migrant, who is not part of Comandante's band of merry extortionists had this to say: "It sounds like extortion," said Nery Pineda, 39. "But if they offered it, everyone here would accept the money." Mainstream Media largely passes on the story. Because the group's extortion demands, predominantly male population, and Comandante's sketchy past (see below) undercut the media's preferred strollers-and-moms-fleeing-violence narrative, this rather telling but inconvenient incident has been largely ignored. Move along, nothing to see here! No, embassies and consulates do not keep safes full of cash for such occasions. Having worked at U.S. embassies, I can attest to the fact that there are plenty of oddball groups who turn up with bizarre letters and petitions. But no, there is no ready supply of cash, thank God, at our posts to mollify such characters. He left his birthplace in 1987, after being accused of planting a bomb in a Chinese restaurant that injured six U.S. soldiers in Honduras. Guerrero claimed the charges were false and, despite protests from the U.S. government, Mexico offered him political asylum. Until recently, he earned a living selling bracelets, earrings and necklaces. But it hasn't amounted to much. Guerrero says he has $10 to his name and does not have a bank account. 'The United States is directly responsible for this humanitarian crisis," he said. "Honduras is practically colonized by the United States." "It may seem like a lot of money to you," Ulloa said of the ransom demand. "But it is a small sum compared to everything the United States has stolen from Honduras." $50,000? Not so much. But how about a free bus ride home? These folks aren't going to be collecting $50k anytime soon. But I'd kick in to help charter some nice air-conditioned buses with a ready supply of Jarritos sodas and all the movies they care to watch on the long ride back to San Pedro Sula if that's what it takes to disperse the crowds at the border. Their 72-hour deadline has passed. Now what? Here's my proposal. Someone over at DHS ought to call Comandante or one of his consiglieres and say, "Look, we know we missed the deadline, but we've reconsidered and we'd like to get you folks your money. After all, as you say, U.S. foreign policy has been a little sketchy at times, and you guys seem like a swell group of fellows." Promise to deliver said cash in unmarked briefcases to the extortionists in the lobby of the Tegucigalpa Marriott Hotel. (And by the way, citizens of any country that has a Marriott should not be eligible for asylum. Note to the Trump administration — constitutional amendment perhaps?) Instead of cash, fill said briefcases with a copy of the 1952 Immigration and Nationality Act, so the good folks in Comandante's brigade can familiarize themselves with U.S. immigration law.